When I have time I like to peruse the now famous Pinterest to look for tutorials that someday when I have time I will try. I came across this one the other day and thought what a great storage idea. 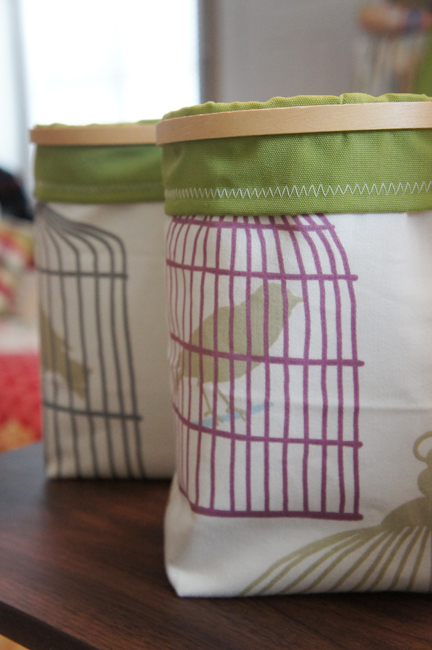 You can never have enough storage and these bags are perfect for rooms with limited storage areas. 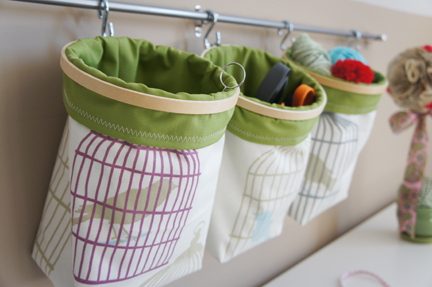 I need to make some of these for my sewing room since it is packed with "stuff". 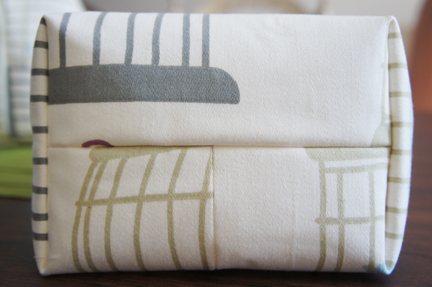 So here is how Rachel over at Always A Project Blog makes these bags. When I get time I am definitely going to make some of these. You can stuff all kinds of stuff in them! 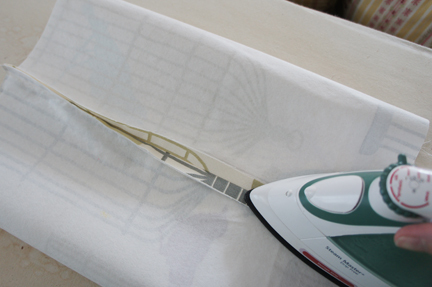 Add a layer of fusible interfacing just fora little extra stability. 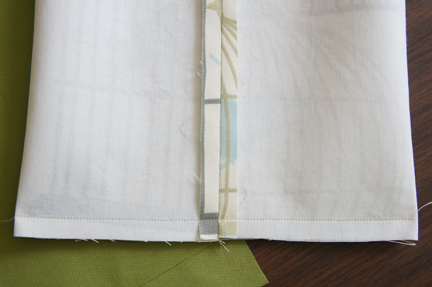 Take your outside fabric, fold in half lengthwise, and sew a 1/2" seam along the side. 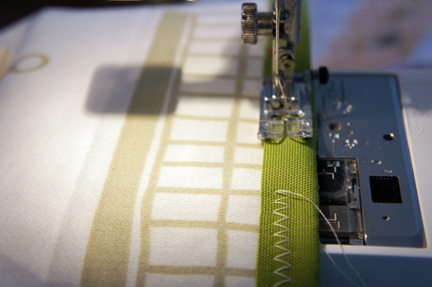 Press your seam open and sew another 1/2" seam along the bottom of your bag. 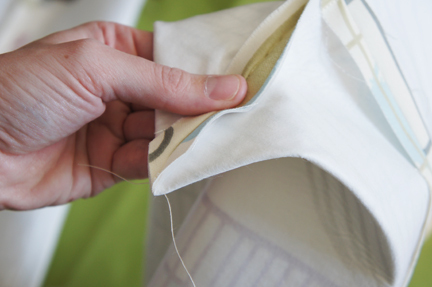 Trim the corners of your bottom seam. Open your bag and pinch the bottom corners together. 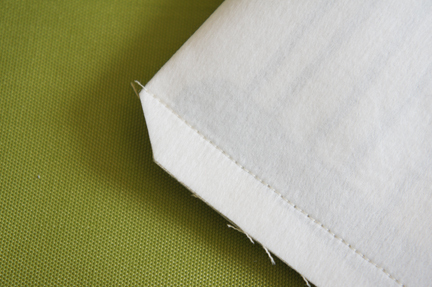 Sew a seam across the corner to make a boxed bottom. 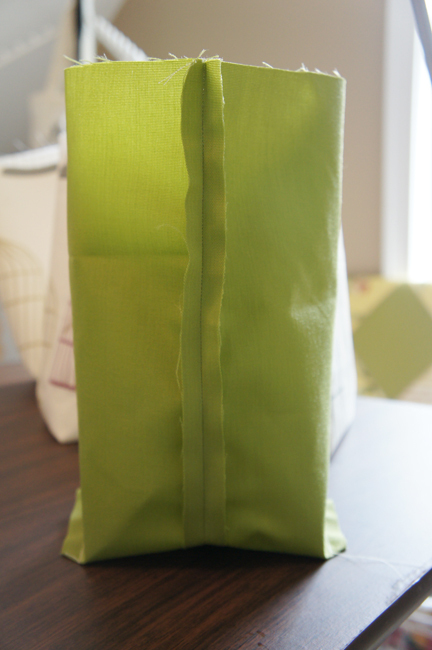 I sewed a 4" seam to create a substantial base to my bag. Cut the corners off below your seam. Turn the bag right-side out. This is what the bottom should look like. 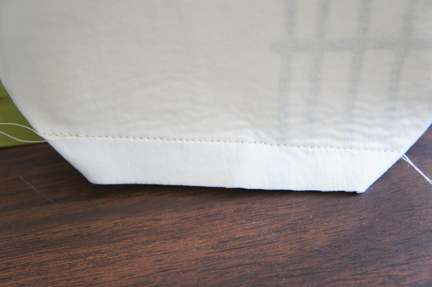 Follow the exact same steps for the lining of your bag, but do not turn it right-side out. 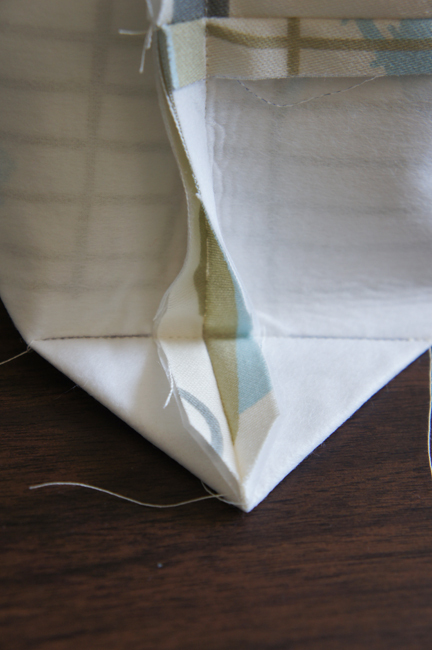 Insert your lining into the outer bag and turn a 1/2" hem towards the outside of the bag. Stitch in place. I used a zigzag stitch for a little more character. Fold the top down toward the outside approximately 2". 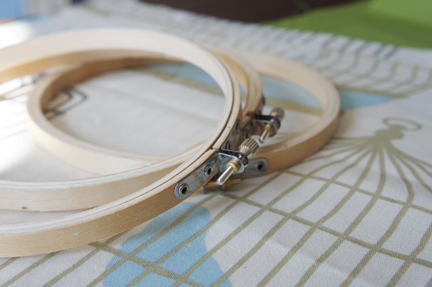 Insert the inner ring of your embroidery hoop under the folded edge. 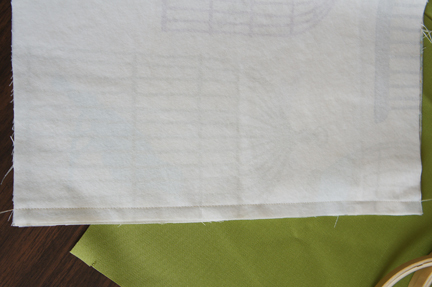 Place the outer ring of the embroidery hoop on the outside of the bag, directly over the inner hoop and tighten. 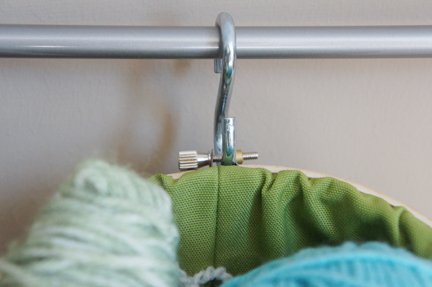 Mount your rod, add one S-hook per bag, and hang in place!